Many homeowners like to keep their gardens as low maintenance as possible. While much of the East Coast is still pretty chilly, spring is indeed on its way. Since you’ve still got a few weeks until it’s time to start getting the planting done, now is the perfect time to come up with a plan for your spring garden. 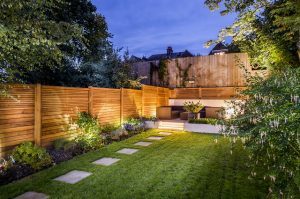 Many homeowners like to keep their gardens as low maintenance as possible. Here are some tips for creating a beautiful garden that won’t be a ton of work to care for. One of the most important parts of keeping your garden low maintenance is to put plants in the right spots. Different parts of your garden get more sun than others, more water, and so on. Observe the light and moisture conditions in your garden. Examine the soil. Choose plants that will do well in these conditions. You can always move them around if you really need to, but some advance planning now will save you the hassle later on! Mulch is the key to a low maintenance garden. There should be roughly two inches of mulch around your plants. Adding the right amount of mulch helps to prevent weed growth and keeps the soil shaded so that it can retain more water. If there is lots of rain or foot traffic in your garden, the mulch may need to be replenished in certain spots periodically. This entry was posted on Friday, March 15th, 2019 at 12:07 pm. You can follow any responses to this entry through the RSS 2.0 feed. You can leave a response, or trackback from your own site.